We are here to help you through the paperwork process. If at any point you need assistance please feel free to email our Service Center or contact your advisor directly. The Adhesion Client Portal is the website which allows you access to all of your investment accounts that are with BCJ Capital Management. Within this website, you are able to view asset allocation, investment holdings, transactions and account performance. We’ve partnered with Adhesion, a leading online service provider dedicated to independent investment advisors. All site credentials and sensitive client information are encrypted using the Advanced Encryption Standard algorithm (Rijndael) with unique 256-bit keys per user. All master passwords are also encrypted with a different 256-bit global key. This means your data is safe and reduntantly backed-up. While Adhesion is responsible for maintaining the infrastructure and security behind your client portal, we are responsible for the accuracy of your data and the content you ultimately see. We’ll never outsource our customer service. Therefore, if you have a question or run into a problem while using your portal, simply email us or give us a call. Forgot your password? You can reset it yourself online or call us to get it fixed. IMPORTANT NOTE: For best speed, use internet browsers IE or Microsoft Edge to access your Client Portal. Our goal behind offering client portals is to make your life easier. Customizable dashboard allows you to suit the view to your liking. Once you are logged in, on the left-hand side you will see the household and its underlying accounts. You can view the market value and holdings at the household level or at the account level by clicking on the underlying account. When looking at the holdings on the account level you can select them and view such components as: recent transactions, asset detail, information on the holding and news. On the right side, you will see a view. From here you can view the household and account information by Type, Class, Sector, Subsector, Category and Asset. 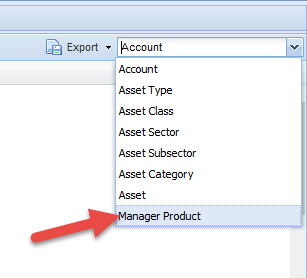 To see which models and managers your accounts are invested in, on the right side of this page, click on the drop down and select “manager product”. Once this section has loaded, expand the household to see the underlying manager products. Select “Account” as it is the standard view for performance. A new report entitled ‘BCJ Quarterly Report’ has been prepared for you and is available for viewing. 1. Click on the link below. If nothing happens when you click on the link (or if you use AOL), copy and paste the link into the address bar of your web browser. 2. Click on the Reports Tab located in the lower pane. From there, you will find the new report in the Advisory Reports folder. Thank you for using WealthADV. 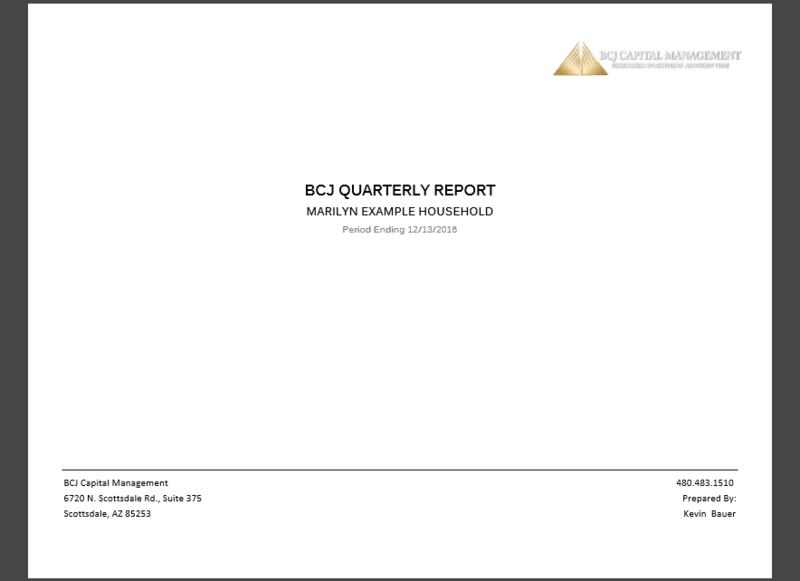 When you log in, you will get a pop up that looks like this, you can click on the blue link titled “BCJ Quarterly Report” to view your report as a PDF. 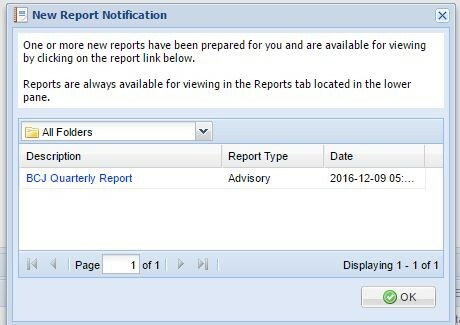 You can access your report at any time by click on the report tab and selecting your quarterly report.